Capt. Ahmed Sheik Feres was arrested on May 2007 when he was 80 years old and he died in prison on 27-10-2010 at the age of 83! His body, like many other prisoners of the cruel PFDJ-system, was secretly buried -often by “forced labourers and recruits who are totally ignorant of the person they are burying secretly!! !- Only last week!! !, after 4 years, family of Sheik Feres have confirmed via via that their father, brother, husband, grandpa, had died and buried secretly. "THE STRUGGLE OF MAN AGAINST POWER IS THE STRUGGLE OF MEMORY AGAINST FORGETTING"
Don't say this doesn't happen in Eritrea and by Eritreans to Eritreans! Whenever you say that, you are torturing the tortured and their families again and again. They have told us time and again "One Heart and One People"; a friend of mine told me the other day, "Habtom, They have made us One People, One Fegato (Lever disease)..
Ahmed Sheik Feres (80 years old and in jail since May 2007) No charges have been brought against him to this date. While the reason for his incarceration is not known, two possibilities are mentioned. (1) Not long before his arrest, captain Ahmed Feres met Isaias in Massawa and pleaded with him to allow Osman Sabbe’s remains to be buried in Hergigo and for his friend Dure’e and other G-15 prisoners to be released. (In fact, these are issues about which he had been outspoken all along). Ahmed Sheik Feres was born in 1927 in Hergigo. He worked as a sailor and as vice captain on various Italian, Italian-Eritrean, Greek, Ethiopian and Saudi commercial vessels in the 1950s and 60s. He studied in Italy in commerical marine navigation and seamanship. 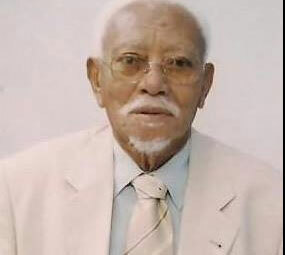 Sheik Feres became active member of the Eritrean Liberation Movement (ELM), aka Haraka / Mahber ShewAte. In 1959, when Osman Sabbe, then director of Hergigo School, became a target of Ethiopian agents, Captain Ahmed Feres first hid him in his home in Assab and then smuggled him out of Eritrea. * Upon the creation of the ELF in 1960, he was tasked with coordinating activities inside Eritrea (specifically in the coastal areas) with ELF leadership outside. • He soon became a main channel for the extremely risky job of buying and secretly procuring arms across the Red Sea to supply ELF fighters (mostly in coordination with Sabbe). • He was arrested in December 1965 by the Haile Selassie authorities together with several others, including Mahmoud Sabbe and Sheikh Suleiman. In spite of continuous torture, he was adamant that he knew nothing about the charges. • Prosecuted with 8 others and, on 7 May 1966, and sentenced to 20 years in prison. • Spent more than 9 years in prison (from 1965 to 1975), at Sembel, Carcere, Addis Abeba, Adi-Kuala, and back to Sembel. In prison, he continued his political activism and befriended, among others, Haile Woldensae (Durue). (their friendship and mutual respect continued when they were reunited after independence). • He was charged by the Ethiopian authorities, while still in jail, with recruiting inmates for the Eritrean cause. Other charges were also brought forward, including that he knew the hiding place of a weapons cache and that he had encouraged his brother (who he was told was killed recently) to join the ‘insurgency’ (ELF). He was subjected to renewed interrogations and torture, and twice condemned to solitary confinement for months. • He was freed from Sembel prison in February 1975 together with 800 other inmates by the ELF. He was one of those who helped coordinate the operation from inside the prison. He chose to join the PLF (precursor of the EPLF). • When the PLF’s Foreign Relations office (led by Sabbe) started unity negotiations with the ELF in late 1975, a move that was rejected by the field leadership (led by Isaias/Ramadan), captain Feres was among a delegation sent by Sabbe to talk to Isaias and the other field leadership members. • When Sabbe and Isaias parted ways in 1976, he continued with the Sabbe-led PLF. He subsequently became captain of the only ship that was operated by the PLF. • In the 1980s, he went back to private employment as captain of commercial vessels in the United Arab Emirates and Saudi Arabia. • In March 1991, he published his memoirs in a book. • Immediately upon Eritrea’s independence, he returned to his homeland. • In independent Eritrea, he continued his public work, including by serving as chairman of Hergigo’s local committee and on a number of committees and development initiatives in the Massawa area. 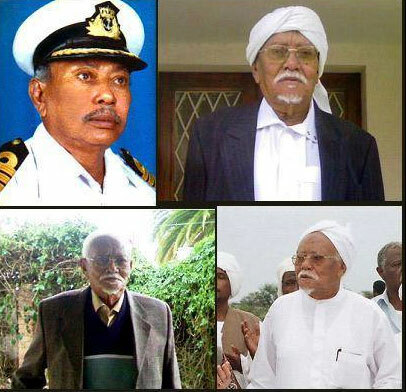 • On May 2, 2007, at the age of 80, captain Feres was arrested by the Eritrean regime’s security. No charges have been brought against him to this date. While the reason for his incarceration is not known, two possibilities are mentioned. (1) Not long before his arrest, captain Ahmed Feres met Isaias in Massawa and pleaded with him to allow Osman Sabbe’s remains to be buried in Hergigo and for his friend Dure’e and other G-15 prisoners to be released. (In fact, these are issues about which he had been outspoken all along). (2) Weeks before his arrest, he had met Brig General Re’si Mrakh to inquire about the whereabouts of the head of Massawa’s Islamic Awqaf Committee who had been arrested earlier..